Bishop-designate William Muhm, pictured in 2015 as a Navy Chaplain Corps Captain assigned to the 2nd Marine Logistics Group in Camp Lejeune, N.C.
Pope Francis has named Father William J. Muhm and Father Joseph L. Coffey as auxiliary bishops of the U.S. Archdiocese for the Military Services. Bishop-designate Muhm, 61, is a priest of the Archdiocese of New York and since December has served as administrator of Most Precious Blood parish in Walden. He has served as a U.S. Navy chaplain, retiring with the rank of captain last year. Ordained a priest for the Archdiocese of New York by Cardinal John O’Connor in 1995, he served as parochial vicar of St. Ann, Ossining, 1995-1996, and Holy Family, Staten Island, 1996-1998. Bishop-designate Coffey, 58, is a priest of the Archdiocese of Philadelphia who has served since 2001 as a U.S. Navy chaplain, holding the rank of captain. Archbishop Timothy P. Broglio, who heads the military archdiocese, will ordain the new bishops on Monday, March 25, in the Basilica of the National Shrine of the Immaculate Conception in Washington, D.C. The appointments were announced Jan. 22 in Washington by Archbishop Christophe Pierre, the Vatican nuncio to the United States. The bishops-designate will succeed Auxiliary Bishops Richard B. Higgins, who turns 75 Feb. 22 and will be retiring, and Robert J. Coyle, who was transferred to the Diocese of Rockville Centre last February. Bishop-designate Muhm, in a statement, said he was “humbled and honored” by his appointment. He retired from the Navy May 1, 2018, and was on sabbatical until Dec. 1, when he became administrator of Most Precious Blood parish. Bishop-designate Muhm is mindful he is embarking upon “a call to a higher level of service—to our service members and their families, and to our veterans in the V.A. hospitals, as well as any civilians who are stationed overseas,” including a number of the latter who are in combat zones and embassies. Cardinal Dolan congratulated Bishop-designate Muhm, sending him good wishes for his new responsibilities. 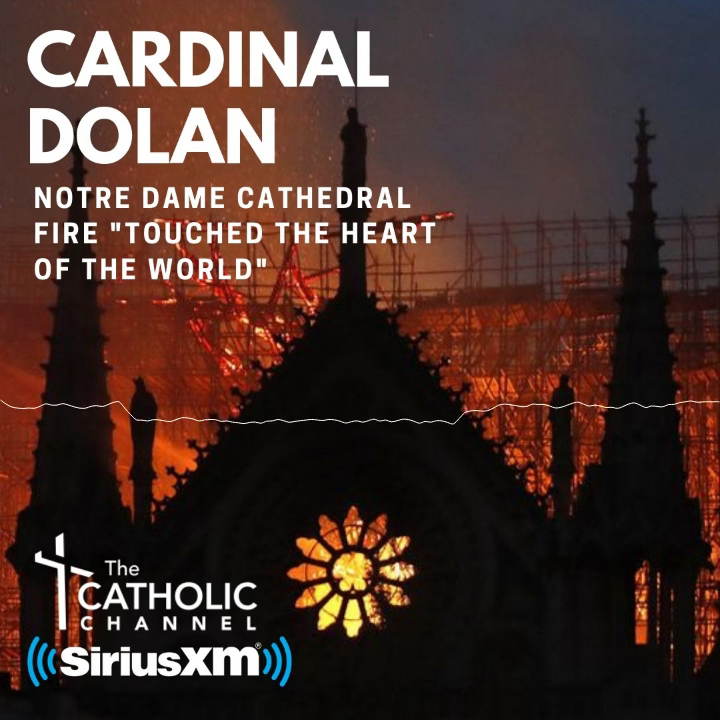 “While we had just gotten used to having him back with us as a pastor, after decades of faithful priestly ministry as a Navy chaplain, it’s a big part of the legacy of this archdiocese to share its treasures of priests, sisters, lay faithful and gifts with the wider Church,” Cardinal Dolan said. The same can be said for the people “in the village at Walden,” he added. Bishop-designate Muhm said he appreciates how the news of his appointment has been received at the parish, namely, the fact that the Lord has other plans for him. “I admire the people of Most Precious Blood because they all seem to understand that and they’re all accepting it in a good spirit,” he said. Archbishop Broglio welcomed his two colleagues in ministry to their new roles in serving the 1.8 million women and men in the U.S. military around the world. Bishop-designate Muhm, the youngest of three children, was born to the late James and Anne Muhm in Billings, Mont., and raised in Denver. His two sisters reside in New Jersey and Wyoming. Before entering the seminary in 1989 to study for the priesthood for the Archdiocese of New York, he was commissioned a Navy ensign in 1981. He left active duty and worked as an accountant from 1986 to 1989. In 1998, Bishop-designate Muhm returned to active duty as a Navy chaplain. His assignments included Naval Air Facility Atsugi in Japan; aboard the USS Wasp and USS Bonhomme Richard; a post-9/11 deployment in the Arabian Sea; the Training Support Center Great Lakes in Illinois; Anbar province, Iraq; the U.S. Naval Academy in Annapolis, Md. ; and Camp Lejeune, N.C.
Bishop-designate Muhm’s military awards include the Legion of Merit, Meritorious Service Medal with two gold stars, Navy Commendation Medal with gold star, Navy Achievement Medal with gold star and fleet marine force officer qualification. He earned a master’s degree in theology, a master of divinity and a bachelor of sacred theology from St. Joseph’s Seminary in Dunwoodie, and a bachelor’s in business administration from Colorado State University. Born in Rochester, Minn., Bishop-designate Coffey is the fifth of nine children. He was raised in Philadelphia and ordained to the priesthood in 1996. While studying for the priesthood, he entered the U.S. Navy Chaplain Candidate Program in 1992. He served in the Navy Reserve for nine years. Since 2001, he has been chaplain in the Navy and a recruiter for the chaplain corps. His naval assignments include stints in Okinawa, Japan; aboard the USS George Washington and USS Ronald Reagan; Camp Pendelton, Calif.; Camp Leatherneck in Helmand province, Afghanistan; and U.S. Navy Recruiting Command in St. Louis. His current assignment is assistant chief of staff for religious ministry in the Marine Corps Recruit Depot in San Diego. Bishop-designate Coffey has received the Meritorious Service Medal, the Navy Commendation Medal with two gold stars, the Navy Achievement Medal with two gold stars, Navy Sea Service Medal, National Defense Medal, War on Terrorism Expeditionary Medal, War on Terrorism Service Medal and NATO Service Medal. The Military Chaplains Association awarded Bishop-designate Coffey its Distinguished Service Award as chaplain of the year in 2004. —Catholic News Service contributed to this report.